Hi! I know my blog has been pretty dead and all, but here's a review you won't regret reading! 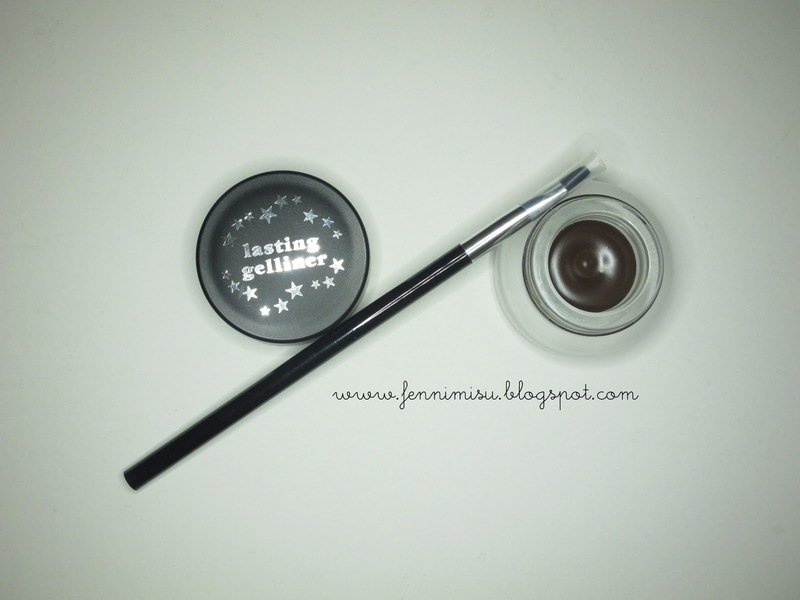 An awesome gel liner! Hehe I havn't got around the more popular gel liners e.g. Maybelline or KATE, cos I don't actually like dramatically dark eyes. I also thought they'd cake when dry, so I just skipped them. Recently, there's a sale by Eternity Trade (awesomeness!) and I picked up a gel liner by Naris Up (havn't heard of it..) and it only costed $5!!! 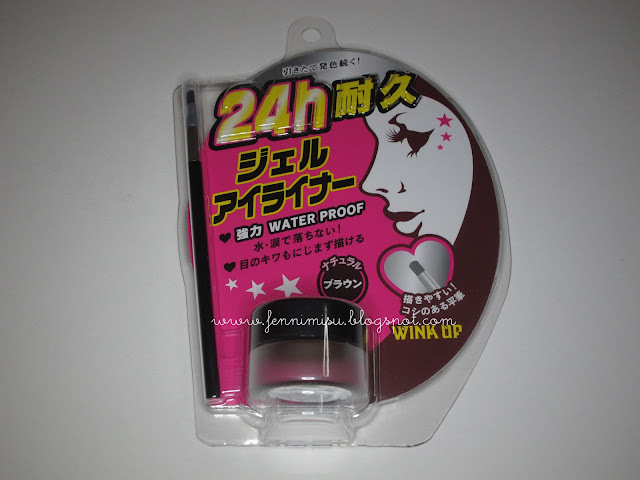 Some readings: 24 hours lasting, waterproof, water and tears proof, in Natural Brown. As you can see, it comes in a frosted glass jar and is actually pretty heavy. Comes with a brush perfect for use together! Swatch of it. A pretty dark brown. Only downside is the inconvenience of the brush. Not attached or does not have a re-usable cover for it. Also, there is a need to clean the brush after use or it'll be gunky (and breed bacteria). *Note that my review is ONLY on the brown one though, can't say the same for the black one since my mum had it and thrown it away cos it smudges like crazy.